To dismiss your Kansas traffic citation or to lower your auto insurance premiums, there’s really no better way than the quick and convenient Kansas Defensive Driving Course we offer online through I Drive Safely. Could you use a little savings on your car insurance? Want to dismiss a traffic citation? Accomplish both of these things quickly and conveniently with an online defensive driving course! There’s no need to have a traffic ticket or high insurance premiums disrupt your busy schedule. This course lets you make the course your own, study whenever and wherever you want. At the end of every chapter, there is a 10-question quiz, designed to prepare you for the 25-question multiple-choice final exam. You are required to score an 80% or better to pass the final, but you’ll be given as many chances as you need to get there. There’s really no way to fail! Kansas state law requires that your insurance company provide you a 3-year reduction on your premiums if you voluntarily complete a defensive driving course. To receive the discount, contact your insurance provider, inform them that you’re taking our course, and provide them a copy of your completion certificate when you’re done. Saving money on your car insurance is just that easy! We’ll get started getting your certificate processed as soon as you finish your course. We don’t want to keep you waiting to have your ticket dismissed or to start saving you your hard earned money. Finish your course by 3 PM Central Time, and we will drop your certificate of completion in the mail that afternoon. USPS not fast enough? Feel free to choose one of our reasonably priced FedEx delivery options. Our team of trained customer care specialists is happy to assist you with any question or concern you may have with your online Kansas defensive driving course. We’re here 24/7, so give us a call or shoot us an email anytime. Why Take Defensive Driving Online? 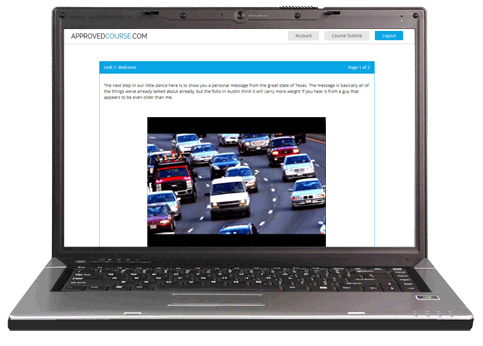 Taking a Kansas defensive driving class online offers a number of advantages over the traditional classroom course. To begin with, you don't have to travel to a classroom, the classroom comes to you. 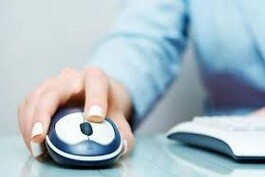 Wherever you can access the internet, you have full access to your course. Taking an online course gives you the power to choose when you work on your course; choose the schedule that works best for you. No more wasting an entire Saturday sitting in a classroom listening to lectures. Finish your course all at once or a piece at a time. Maybe the biggest advantage is that, with unlimited retakes, there is no way you won't complete the course and receive your certificate. Quick, convenient, can't fail - three pretty good reasons to choose our course!